He had given Celtic the precious single-goal lead to take to Argentina in the away leg of the World Club Championship in 1967. 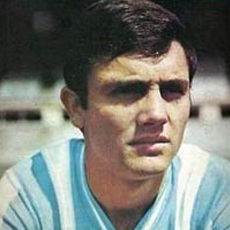 He watched on as he and his team-mates were subjected to appalling treatment by the players of Racing Club – and their supporters – in the away leg. A deciding tie was necessary and he had to steer clear of the madness and the mayhem. 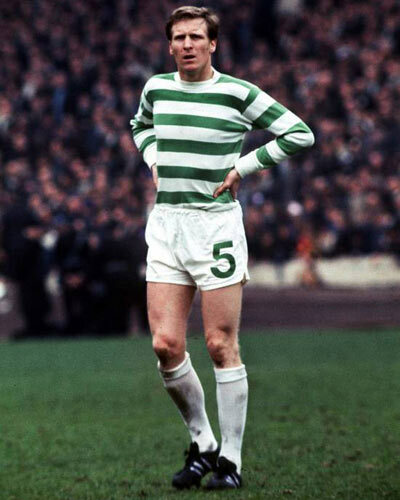 He was as disgusted as every other Celt at the terrible abuse they’d been subjected to – and the lack of protection offered by the referee – in each of the three games. But he had to rise above it. And, at the end of the deciding game in Montevideo, he did – despite being cheated out of the opportunity to lift the trophy which would have crowned Celtic as world champions. “On reaching the tunnel, I saw him come towards me slowly, the blond chap McNeill, who had scored against us in Glasgow. I looked him in the eyes and instictively put myself on guard, perhaps because of all that had happened during the game. He held out his hand and I had to grip it tight. He intimated that he wanted to exchange jerseys with me and it was then I couldn’t stop the tears coming to my eyes, not for me, but for him. I thought how sad the moment must be, how I would have felt if the title had slipped out of my hands. McNeill’s face showed no emotion but I thought I almost detected a smile.